How your cat sees you: Giant Hairless GorillaPig Slave." 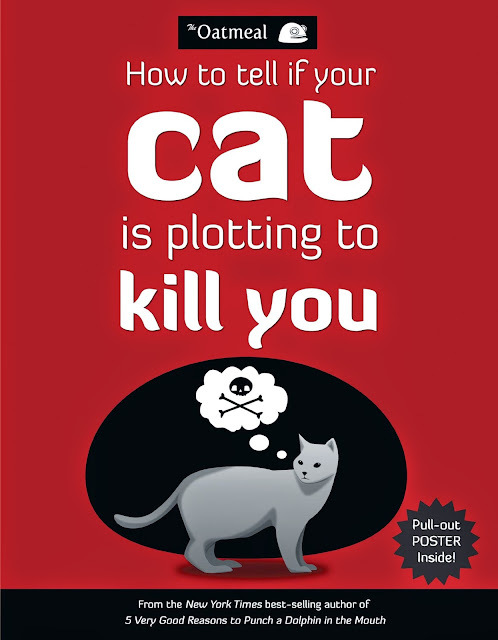 Fans of Matthew Inman's website, The Oatmeal, will enjoy this extended comic look at the relationship between humans and their housecats. Beyond the titular list of ways to tell if your cat is plotting to kill you, Inman is at his best when pitting cats against the internet and how they fight for their owner's attention. A frame showing Inman's cat throwing the bat signal up on the wall says as much about some pets' mischievous ingenuity to get some attention as it does about media's predominance in the home. Comics by The Oatmeal are well known for their hilarious, sarcastic, and biting look at life. Artist Matthew Inman's feelings about his pets are no exception.